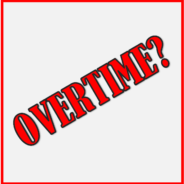 How do you decide if an employee should be paid overtime? The question comes up often when we work with clients…do we pay this job an hourly rate or a salary? This one is tough to answer…and many times we have to take the client on a journey to understand an important compensation consideration. Often the question isn’t about paying hourly versus a salary per se…it’s more about whether the employee should be paid overtime or not. In reality you can pay employees an hourly rate or annual salary, but even if you pay an annual salary, in some cases you must still pay overtime. Why is this? It comes down to the fact that in order for an employer to be relieved of paying overtime…in other words, for the role to be EXEMPT from overtime, it must meet the conditions of tests that have been developed by the US Department of Labor. Failure to meet the conditions of these tests means the job is not exempt from overtime, and the employees in that job must be paid overtime. Salary Level: The minimum salary level required for exemption is currently $455 paid weekly [$23,660 annually and $11.38 per hour]. Anyone paid below this level must be paid overtime. Salary Basis: To meet the requirements of the salary basis test, the employee must be paid a predetermined amount for each pay period and compensation may not be reduced due to the number of hours worked in a work week or the quality of work completed. It also states that the employee must be paid their full salary if they perform ANY work for that week, but they do not need to be paid if NO work is performed during that work week. Job Duties: The third test is the job duties test. This test focuses on the primary duties performed by certain types of employees including executive, administrative, professional, computer, and outside sales employees. These different types of employees each have specific duties tests that must be met for them to meet the requirement. Note that this means that the CONTENT of the job, and not its TITLE, will determine whether it is exempt or not. What does this mean in practice? Check back next week when we’ll share some commonly asked questions and answers about whether to classify a role as exempt from overtime or not.